Hollins University is one of the nation’s best colleges for students seeking a superb education with great career preparation at an affordable price, according to The Princeton Review. 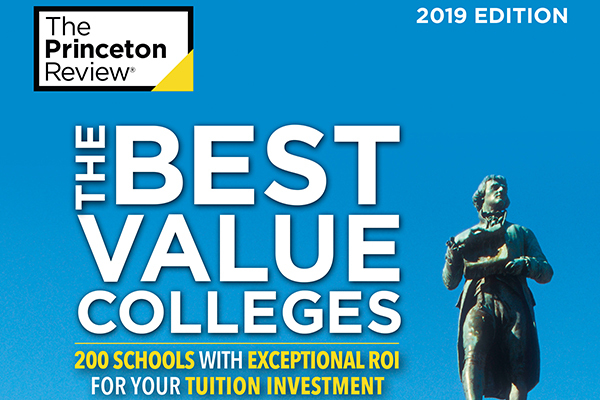 The education services company profiles Hollins in the 2019 edition of its annual guide, The Best Value Colleges: 200 Schools with Exceptional ROI for Your Tuition Investment, published by Penguin Random House/Princeton Review Books. Information on the book, including its school profiles, is accessible for free on The Princeton Review’s website. The Princeton Review crunched more than 40 data points to tally ROI (return on investment) ratings of the colleges that determined its selection of the 200 schools for the book. Topics ranged from academics, cost, and financial aid to graduation rates, student debt, alumnae/i salaries, and job satisfaction.